Retirement for baby boomers is very different from other generations. Boomers are working later in life, starting second careers and even going back to school. The aging boomer is also doing more volunteering in their communities than ever before. Living well, living comfortably, and wanting to remain in their home and community are goals for many baby boomers. We boomers grew up coming and going as we please. We can be found exercising, surfing the web, and volunteering. Aging boomers are a generation of active individuals that will continue to be active seniors. Remaining at home as we age, will allow us to enjoy the freedom we have become accustomed. It also allows us to maintain our daily routine as our health permits, receive the care we want and in the manner in which we want it. As boomers age, our expectations change of what we want and how we want it. Aging Boomers do not want to compromise health and safety. The demands of the baby boomer generation are being heard. A new industry of home modifications has evolved and will change as we age in place. The home environment not only needs to be modified to meet the changing boomers physical needs, but it must be appealing to the eye. Being able to return home after an illness or sickness from the hospital will decrease risks from hospital acquired infections. The number one independence robber for aging boomers is falls. A home assessment to address simple home modifications could be made to prevent falls in the future. Boomers are better educated health care consumers than past generations. We are more inclined to take a holistic approach to aging. There is no better place to be than in our own home, in our own community and surrounded by friends and family. Being in familiar surroundings promotes wellness of the body, mind and spirit and can extend life. As we age, change increases confusion. Aging in place allows for consistency. Boomers expect options and choices and want to be an active participant in our own care. Planning ahead to age in place allows the boomers to be able to explore the options, make the choices best suited to our needs. Aging boomers want and expect an individualized plan of care. Aging in place promotes independence and the ability of the boomer to have control over our needs and care. Aging in place allows one to one interaction with caregivers and providers. As we age and our needs change, aging boomers who age in place will have the ability to receive an individualized approach to specific needs. Boomers are all about being comfortable. Studies show the baby boomer generation wants to stay in their own home and never leave. Aging boomers want quality of life. Aging in place in your own home, surrounded by familiar things and the support of loved ones is the quality of life boomers want and expect. As we live longer and remain active, boomers are enjoying and demanding a better quality of life. Demands of the baby boomer generation have led to the development of an entire industry to assist us to successfully age in place. Universal Design is changing how homes are built. Technology is making advancements to allow the aging boomer to stay at home. Home is where the heart is. Aging in place allows you to lead a healthier, happier life in a safe environment. Boomers are aging and active. We are involved in our communities. 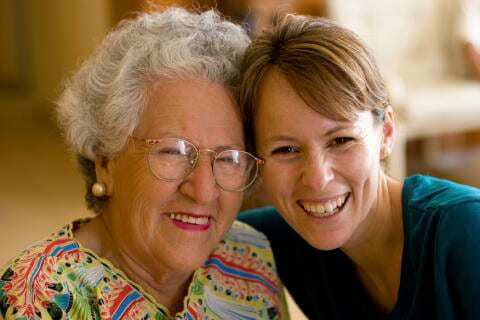 As boomers age we volunteer, act as mentors and are positive role models for future generations. Communities have a lot to gain having boomers age in place. Active aging boomers support the community by buying locally and contributing to community causes through financial support. Advanced technologies are developing new products to enhance the quality of life at home as we age in place. We can now utilize a Wii for exercise and entertainment. Hospitals are using the Wii for rehabilitation purposes. This can increase strength and endurance and flexibility. This activity can also promote balance to decrease chances of falls. Robot vacuums can replace our sweepers and allow the house to be swept without physical strain. This is just the tip of the iceberg of the products and services available to ensure safety and quality of life as baby boomers age in place. Studies show that aging boomers fear moving into a nursing home and losing independence more than they fear death. Aging boomers are now dealing with their parents and aging. We are concerned about the emotional and physical well being of our loved ones and are now realizing the impact going into a nursing home has on the entire family. Successfully aging in place can be accomplished with advanced planning. It is time to start thinking about your future needs.